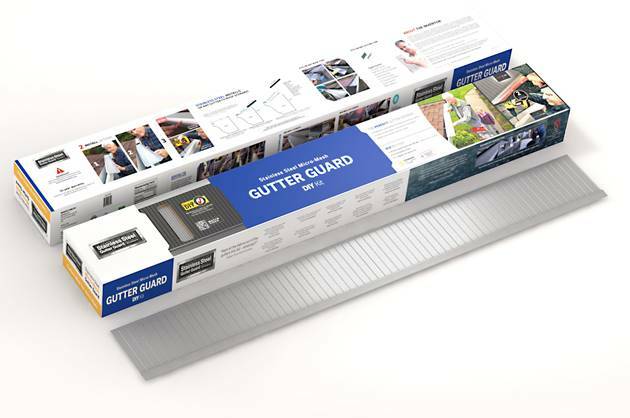 Never Hear About Gutters Again from Your Dad Thanks to Gutter Guard! Ok, am I the only one that has a husband who has an obsession with our gutters???!!! So when I was thinking of what to get him for Father's Day, I could think of nothing better than a product to help his obsession with our gutters! So I turned to Stainless Steel Gutter Guard and it may be the best Father's Day gift I have ever given my husband! He was instantly in love! Stainless Steel Gutter Guard is a Do-It-Yourself gutter guard for dad’s that don’t want to clean their gutters out any more. These patented stainless steel gutter guards keep leaves, pine needles and roof sand grit out of your gutter so you never have to clean your gutters out again. They are the only UL Certified gutter guards in North America for rainwater harvesting. The patented V-Bend Technology (VBT) design allows the system to filter rainwater more effectively than other gutter covers. There are no support mechanisms needed under this high performance VBT stainless steel micro-mesh gutter protection system. This allows 100% of the holes to filter rainwater coming down your roof and into your gutter, whereas all other micro-mesh gutter guards have a mechanized support, blocking as much as 60% of the holes. My husband instantly was inspecting them and seeing how they worked and instantly wanted to get out there and put them up!! But what he really freaked out about the most was the Gutter Guard Brush! 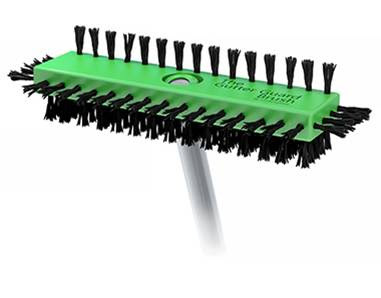 The Gutter Guard Brush has bristles on five sides of a six sided block to make it very unique in being able to clean off just about anything, at any angle, on any type of gutter guard. 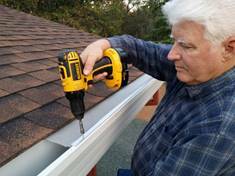 Screw on the end of any extension pole, and then from the ground, just reach up and brush off any leaves, pine needles or small debris off the gutter guard. You can also brush off the sides and bottom of gutters as well. 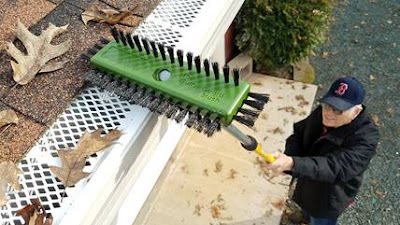 It’s the first cleaning tool ever made for cleaning off any leaves or pine needles that don’t blow off from a gutter guard and it is designed for all gutter guards. 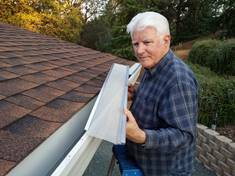 My husband loved the innovation of this tool and will forever be happier about our gutters thanks to Stainless Steel Gutter Guards and the Gutter Guard Brush!